Why not try our maple vinaigrette? Combine 15 ml our PDC maple syrup with 75 ml of cider vinaigre, and 100 ml of our PDC Olive Oil. A real sin. The maple syrup can be frozen for up to 6 months. 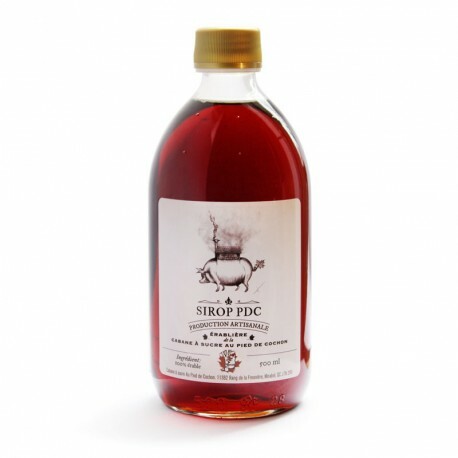 REAL maple syrup from our sugar shack Au Pied de Cochon, in St-Benoit de Mirabel. All of our items are prepared in a kitchen environment that may contain nuts, peanuts and gluten. Not available in the United States.